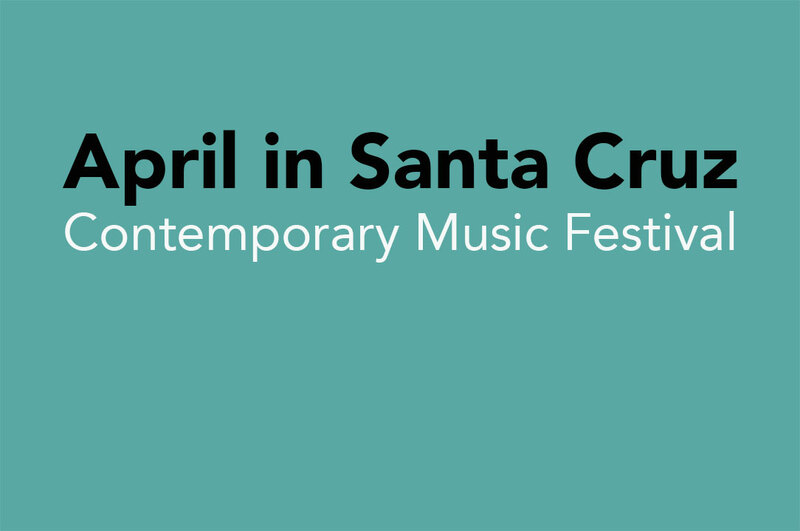 The UCSC Department of Music presents April in Santa Cruz Contemporary Music Festival, the month-long series of free concerts featuring works by UC Santa Cruz faculty and graduate students. Concerts feature numerous styles and performers. Global-African dance, spoken word, winds, strings, percussion, turntable, beat box, and digital artwork. Hesterian Musicism is the creative process through which Professor Karlton Hester’s compositional and performance style merge to give rise to aesthetic environments where other musicians, kinetic and visual artists, and poets can meet to produce new art forms through imaginative effort. The world-renowned Del Sol String Quartet and critically acclaimed percussionist Chris Froh premiere compositions by cutting-edge young composers. The concert will cap a 6-day residency during which the performers will work intensively with each of the graduate student composers Marguerite Brown, Yunxiang Gao, Ryan Harvey, Feona Jones and Jinwei Sun to realize their highly individual visions. The ensembles collaborate in a rare performance of James Tenney’s “Road to Ubud” for gamelan and prepared piano. The program will also feature works by Edgard Varèse and Jon Gibson and premieres by UCSC composers Ben Carson and Hi Kyung Kim. This innovative 12-piece chamber orchestra from Los Angeles performs new music by UCSC graduate student composers Heeyoung Choi, Zach Hejny, Ike Minton, Bryndan Moondy, Jonathan Myers, Andrew C. Smith, and Assaf Shatil. The works on the program are the culmination of a multi-day residency in which the ensemble will work directly with the composers. Sponsors: Trevor Coates, the Vincent J. Coates Foundation, Porter College (UCSC), Music Department (UCSC), Arts Division (UCSC). Concerts start at 7:30 pm.